My first stop was Roanoke, Virginia for an estate sale that offered a Richard Schultz petal table—which my wife Tina really wanted. To ensure that I was the first person in the house to grab the table, I camped out overnight at the estate sale. With very little sleep, I anxiously awaited the start of the estate sale the following morning and was first in the door to grab the table. Knowing an LCW was for sale, spending a night camped out was no issue. By 9:30 am, I was already on my way to Raleigh for some shopping and another estate sale. I headed over to the estate sale for another night of camping out in the driveway. As I pulled up to the house, I quickly saw that I was the only crazy person already at the sale. The neighbors were outside enjoying the beautiful spring evening, so I engaged in conversation with them. To my surprise, I learned that their son collects antique electric fans, another passion of mine. Turns out I had met their son the prior weekend at a regional electric fan meet—small world! wasn’t the police. The neighbor had called the estate sale company. 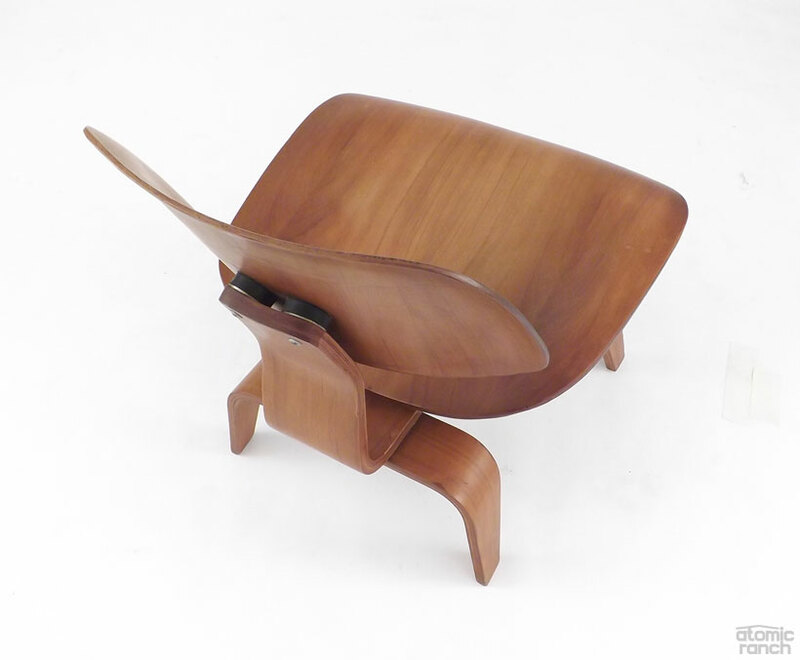 Ironically, the estate sale owner remembered me from a previous sale as “the guy who made her change the rules on giving out the sale addresses too early.” Thankfully she didn’t make me leave as I wanted to purchase the Eames Molded Plywood Lounge Chair (LCW) that was advertised online. The LCW was worth camping out for. Folks started to line up throughout the night and early morning, so that by the time of the sale there were approximately 35 buyers. The sale hosts decided to let only 20 people in at a time. The door opened at 9:00 am, and I bolted through the door and peeked in each room until I finally reached the sunroom, where the LCW sat in the corner. I swiftly grabbed the tag off of the chair. With the chair claimed, I began looking for other modern treasures, but it appeared the people in line immediately following me snapped up the other desirable items. I quickly paid for the chair and headed to the van. 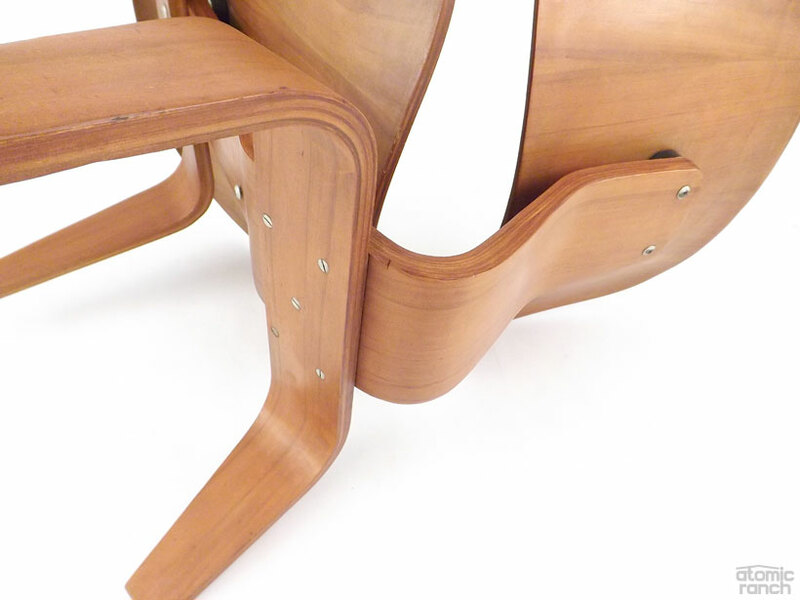 Chad Baker is a knowledgable midcentury enthusiast who has been digging for mid mod treasure for more than 10 years. As a result, he has a plethora of stories about rescuing, restoring and scoring great finds. Along with his wife Tina, Chad lives in a stunning North Carolina home that the couple has lovingly preserved. For more on Chad, visit facebook.com/simplychad.